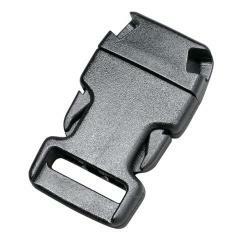 Buckle to attach 1 to 3 cords to one webbing. Best to use with 2 to 4 mm cords and 15 to 16 mm wide webbing. Only 38 pieces left in stock, after the stock is empty this product is not available.